A Clockwork оранжевый A Clockwork оранжевый Poster! Want a signed one? 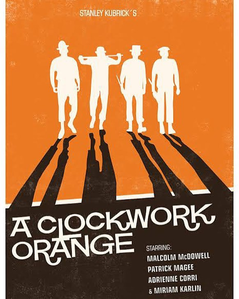 Want a signed one by Malcolm McDowell? Visit his new film official facebook page and instagram" The Adventures of Maiko McDonald" and find out more. Search for the "The Adventures of Maiko McDonlald". We have 20 of these to give away.